As feds struggle with managing free-roaming herds on public lands, invitation-only summit sponsored by Utah State University draws fire from horse advocates. (Chris Detrick | Tribune file photo) Wild horses from Utahs Swasey herd are rounded up by Cattoor Livestock Roundup Co in the West Desert near the Swasey Mountains Thursday February 14, 2013. Under the Bureau of Land Management operation 50 miles west of Delta, helicopter wranglers gathered 262 horses. One hundred will be released back into the Swasey Herd Management Area  one of Utahs 19 HMAs on federal land. Many of the horses released will be mares treated with the contraceptive Porcine Zona Pellucida (PZP-22). (Chris Detrick | Tribune file photo) Wild horses from Utahs Swasey herd are rounded up by Cattoor Livestock Roundup Co in the West Desert near the Swasey Mountains Thursday February 14, 2013. Under the Bureau of Land Management operation 50 miles west of Delta, helicopter wranglers gathered 262 horses. One hundred will be released back into the Swasey Herd Management Area  one of Utahs 19 HMAs on federal land. Many of the horses released will be mares treated with the contraceptive Porcine Zona Pellucida (PZP-22). (Chris Detrick | Tribune file photo) Wild horses from Utahs Swasey herd are rounded up by Cattoor Livestock Roundup Co in the West Desert near the Swasey Mountains Thursday February 14, 2013. Under the Bureau of Land Management operation 50 miles west of Delta, helicopter wranglers gathered 262 horses. One hundred will be released back into the Swasey Herd Management Area  one of Utahs 19 HMAs on federal land. Many of the horses released will be mares treated with the contraceptive Porcine Zona Pellucida (PZP-22). Chris Detrick | The Salt Lake Tribune Wild horses from Utah’s Swasey herd are rounded up by Cattoor Livestock Roundup Co in the West Desert near the Swasey Mountains Thursday February 14, 2013. Under the Bureau of Land Management operation 50 miles west of Delta, helicopter wranglers will gather 262 horses. One hundred will be released back into the Swasey Herd Management Area — one of Utah’s 19 HMAs on federal land. Many of the horses released will be mares treated with the contraceptive Porcine Zona Pellucida (PZP-22). (Chris Detrick | Tribune file photo) Wild horses from Utahs Swasey herd are rounded up by Cattoor Livestock Roundup Co in the West Desert near the Swasey Mountains Thursday February 14, 2013. Under the Bureau of Land Management operation 50 miles west of Delta, helicopter wranglers gathered 262 horses. One hundred will be released back into the Swasey Herd Management Area  one of Utahs 19 HMAs on federal land. Many of the horses released will be mares treated with the contraceptive Porcine Zona Pellucida (PZP-22). (Chris Detrick | Tribune file photo) Wild horses from Utahs Swasey herd are rounded up by Cattoor Livestock Roundup Co in the West Desert near the Swasey Mountains Thursday February 14, 2013. Under the Bureau of Land Management operation 50 miles west of Delta, helicopter wranglers gathered 262 horses. One hundred will be released back into the Swasey Herd Management Area  one of Utahs 19 HMAs on federal land. Many of the horses released will be mares treated with the contraceptive Porcine Zona Pellucida (PZP-22). 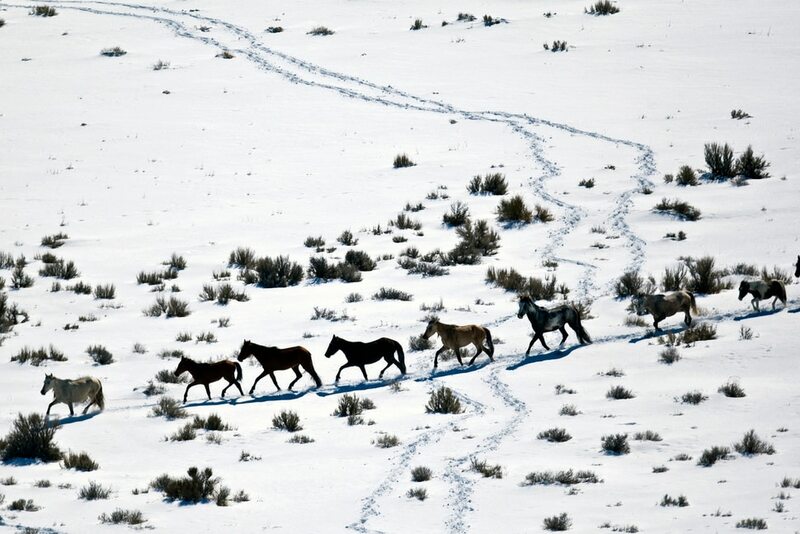 (Chris Detrick | Tribune file photo) Wild horses from Utahs Swasey herd are rounded up by Cattoor Livestock Roundup Co in the West Desert near the Swasey Mountains Thursday February 14, 2013. Under the Bureau of Land Management operation 50 miles west of Delta, helicopter wranglers gathered 262 horses. One hundred will be released back into the Swasey Herd Management Area  one of Utahs 19 HMAs on federal land. Many of the horses released will be mares treated with the contraceptive Porcine Zona Pellucida (PZP-22). (Chris Detrick | Tribune file photo) Wild horses from Utahs Swasey herd are rounded up by Cattoor Livestock Roundup Co in the West Desert near the Swasey Mountains Thursday February 14, 2013. Under the Bureau of Land Management operation 50 miles west of Delta, helicopter wranglers gathered 262 horses. One hundred will be released back into the Swasey Herd Management Area  one of Utahs 19 HMAs on federal land. Many of the horses released will be mares treated with the contraceptive Porcine Zona Pellucida (PZP-22). (Chris Detrick | Tribune file photo) Wild horses from Utahs Swasey herd are rounded up by Cattoor Livestock Roundup Co in the West Desert near the Swasey Mountains Thursday February 14, 2013. Under the Bureau of Land Management operation 50 miles west of Delta, helicopter wranglers gathered 262 horses. 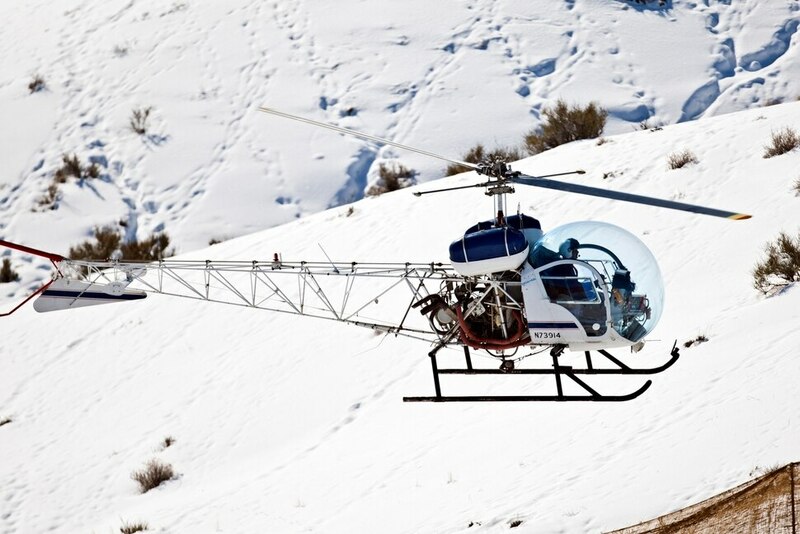 One hundred will be released back into the Swasey Herd Management Area  one of Utahs 19 HMAs on federal land. Many of the horses released will be mares treated with the contraceptive Porcine Zona Pellucida (PZP-22). (Chris Detrick | Tribune file photo) Wild horses from Utahs Swasey herd are rounded up by Cattoor Livestock Roundup Co in the West Desert near the Swasey Mountains Thursday February 14, 2013. Under the Bureau of Land Management operation 50 miles west of Delta, helicopter wranglers gathered 262 horses. One hundred will be released back into the Swasey Herd Management Area  one of Utahs 19 HMAs on federal land. Many of the horses released will be mares treated with the contraceptive Porcine Zona Pellucida (PZP-22). (Chris Detrick | Tribune file photo) Wild horses from Utahs Swasey herd are rounded up by Cattoor Livestock Roundup Co in the West Desert near the Swasey Mountains Thursday February 14, 2013. Under the Bureau of Land Management operation 50 miles west of Delta, helicopter wranglers gathered 262 horses. One hundred will be released back into the Swasey Herd Management Area  one of Utahs 19 HMAs on federal land. Many of the horses released will be mares treated with the contraceptive Porcine Zona Pellucida (PZP-22). (Al Hartmann | Tribune file photo) The BLM used helicopters to steer wild horses into holding pens last July in an effort to remove the animals from state trust lands at Blawn Wash, about 35 miles southwest of Milford. (Courtesy | Chad Douglas, BLM) Bureau of Land Management officials rounded up 103 horses from the Sulphur Herd Management Area. Two wild horses perished during the roundup and two domestic horses were also captured during the event. (Scott Sommerdorf | Tribunefile photo) A group of wild horses stand in pens as they await adoption. The Bureau of Land Management holds a wild horse adoption Saturday, January 24, 2009, in Delta. (Scott Sommerdorf | Tribunefile photo) A group of wild horses stand in pens as they await adoption. The Bureau of Land Management holds a wild horse adoption Saturday, January 24, 2009, in Delta. (Scott Sommerdorf | Tribunefile photo) A group of wild horses stand in pens as they await adoption. The Bureau of Land Management holds a wild horse adoption Saturday, January 24, 2009, in Delta. (Courtesy | Lisa Reid, BLM) Bureau of Land Management officials rounded up 103 horses from the Sulphur Herd Management Area. Two wild horses perished during the roundup and two domestic horses were also captured during the event. (Steve Griffin | Tribune file photo) Wild horses are cared for in the BLM's new off-range contract wild horse corral, located on a 32-acre private ranch in Axtell, Utah Monday, September 14, 2015. Over 500 wild horses currently are housed at the facility, including the 170 wild horses associated with the Wheeler Pass Herd Management Area Emergency Gather near the Cold Creek area of Southern Nevada. (Steve Griffin | Tribune file photo) Wild horses are cared for in the BLM's new off-range contract wild horse corral, located on a 32-acre private ranch in Axtell, Utah Monday, September 14, 2015. Over 500 wild horses currently are housed at the facility, including the 170 wild horses associated with the Wheeler Pass Herd Management Area Emergency Gather near the Cold Creek area of Southern Nevada. A senior Interior Department official called Wednesday for killing healthy horses and burros to rein in runaway costs associated with managing growing wild herds roaming the West’s public rangelands. The 73,000 animals, not counting this year’s foal crop, are now triple what these lands can support, according to Aurelia Skipwith, deputy assistant secretary of Interior for fish, wildlife and parks. It costs taxpayers more than $50 million a year to care for another 45,000 held in off-range corrals and pastures. “With no predators and lack of management abilities, herds will continue to grow 15 to 20 percent a year. Horse overpopulation is decimating the rangelands,” Skipwith told a national conference held Wednesday in Salt Lake City. She issued a plea to allow science, rule of law and “common sense” to help solve the vexing wild horse question saddling the Bureau of Land Management. Under the 1971 law protecting free-roaming equines, the federal agency is responsible for overseeing these nonnative descendants of domesticated animals released by European explorers and pioneers. Utah officials are hosting the invitation-only summit behind closed doors this week in downtown Salt Lake City, drawing a strong reaction from horse advocates who were not invited to attend. Activists reject accounts of overpopulation and starving animals as a fiction fashioned to justify evicting horses and burros from lands owned by all Americans, but used largely for cattle grazing. Kathrens’ organization, The Cloud Foundation, joined others outside the hotel hosting the summit to protest what they say is a sham forum to promote horse slaughter. Kathrens sits on the BLM’s wild horse advisory panel, yet she was not allowed to participate, nor were many other advocates whose requests to attend went unanswered. Inside, some 250 attendees heard presentations from Utah Gov. Gary Herbert, Reps. Chris Stewart and Rob Bishop and scientific panels organized by Utah State University. While members of the media were allowed to attend Wednesday’s session, they were barred from Thursday’s proceedings — even though most participants were public officials and a legislative appropriation was used to pay some of the summit‘s costs. Closure is necessary to promote ”open” discussion, according to summit organizer Terry Messmer, a USU professor of wildland resources. On Friday, most of the proceedings will be posted on the summit website, which is currently password-protected. Skipwith said President Donald Trump’s proposed budget calls for easing rules that limit the BLM’s options for ridding horses from its care. Skipwith and other speakers accused activist groups of caring more about fundraising than the horses themselves. Her remarks ignored the facts that activists were barred from this week’s summit and lawsuits over horse management also come from Utah land managers, ranchers and counties. For example, Beaver County, whose Commissioner Tammy Pearson served as emcee Wednesday, is suing the BLM for returning gathered horses onto the range after administering a fertility vaccine known as PZP. Horse advocates insist the BLM must fully embrace fertility-control measures as an alternative to costly roundups, yet contraception was not mentioned by Wednesday’s summit speakers, except to argue that PZP is costly and impractical. It costs $2,600 to administer a single dose of the drug, according to BLM Nevada state Director John Ruhs. “We need to look at permanent sterilization more seriously along with unrestricted sales,” added wildlife biologist Rick Danvir of the Western Landowners Alliance. Advocates, though, fear sterilization destroys horses’ social structures and sales would send horses to Mexico and other countries that slaughter them for food and other commercial products.